This past Saturday, Jenny Garland and I were invited to The Quilt Asylum in McKinney, Texas to attend a book signing for the Moda Bake Shop's new book, Fresh Fabric Treats! We had a wonderful time meeting several quilters that were regular visitors of the quilt shop and some that had traveled from miles away to see the quilt shop and get a signed book. 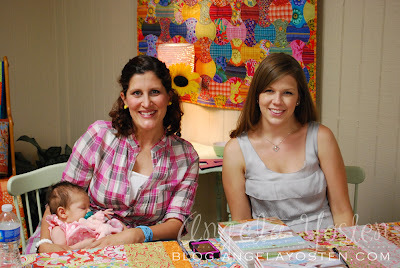 Thank you to The Quilt Asylum for having us and to all of you readers that came to visit us! YOU ALL ROCK!